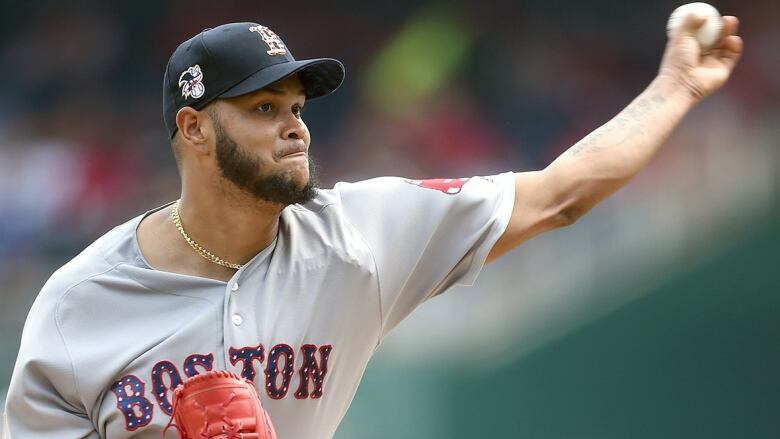 Left-hander Eduardo Rodriguez will start Game 4 of the World Series for the Red Sox against the hometown Los Angeles Dodgers on Saturday (8:09 p.m. ET). Boston leads the best-of-seven Series two games to one. Eduardo Rodriguez will start Game 4 of the World Series for the Boston Red Sox against the hometown Los Angeles Dodgers on Saturday (8:09 p.m. ET). The Dodgers will counter with fellow left-hander Rich Hill, who was originally announced as the starter, but on Saturday morning the team backed off on him and said its starter was to be announced. Boston leads the best-of-seven Series two games to one. The Dodgers won 3-2 early Saturday after Max Muncy's homer leading off the 18th inning ended the longest game in Series history. Rodriguez returns after throwing just six pitches in striking out Joc Pederson for the final out of the fifth inning Friday. Rodriguez was 13-5 with a 3.82 earned-run average and 146 strikeouts in the regular season. He made 27 appearances, including 23 starts. Hill is well-rested, unlike most of the Dodgers' staff. Los Angeles used nine pitchers in Game 3.